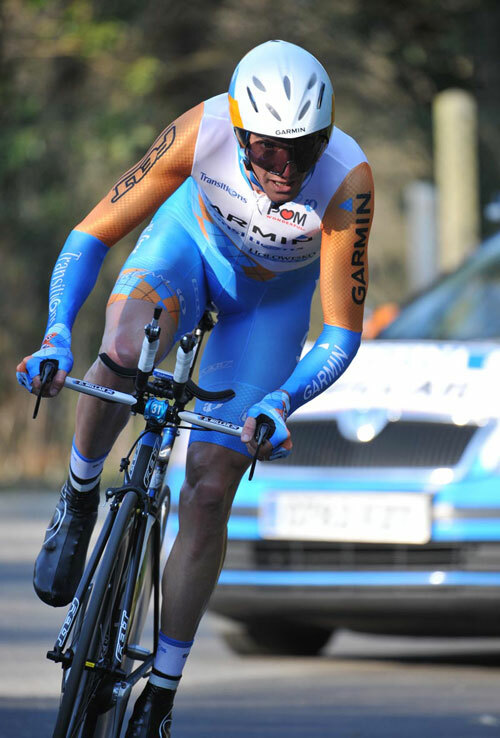 Dutch rider Lars Boom set a time that withstood the challenge of the big stars to win the Paris-Nice prologue on Sunday. The 24-year-old Rabobank rider covered the eight-kilometre time trial course at Montfort l’Amaury, south of Paris, in a time of 10 minutes and 56 seconds. 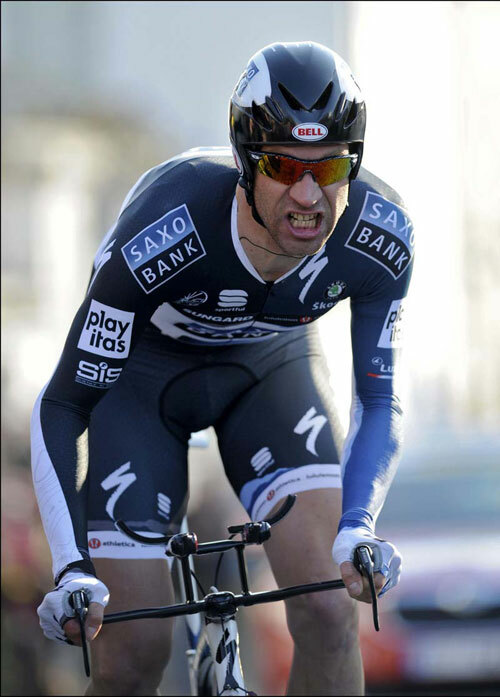 Saxo Bank’s veteran powerhouse Jens Voigt was the closest to Boom’s time, missing the first yellow jersey of the week-long stage race by just three seconds. Voigt, 38, is clearly back to his best after recovering from that terrible crash on a descent in the Alps at last year’s Tour de France. Radioshack’s Levi Leipheimer was third, six second behind, in the same time as Alberto Contador of Astana. The best British finisher was David Millar (Garmin-Transitions), who was seventh, 11 seconds back, suggesting he could be ready to target a high finish overall. Last year’s winner, Luis Leon Sanchez of Caisse d’Epargne, was eighth, with Romain Kreuziger (Liquigas), Samuel Sanchez (Euskaltel) and Janez Brakovic (Radioshack) stacked up behind him as the overall contenders sought to get off to a good start. It was a testing course with a bit of everything – a stiff climb, a cobbled town square to negotiate safely and long stretches of straight road offering a tantalising glimpse of the rider in front. And the stage was held in very cold conditions, with the forecast for the next few days set to be same. 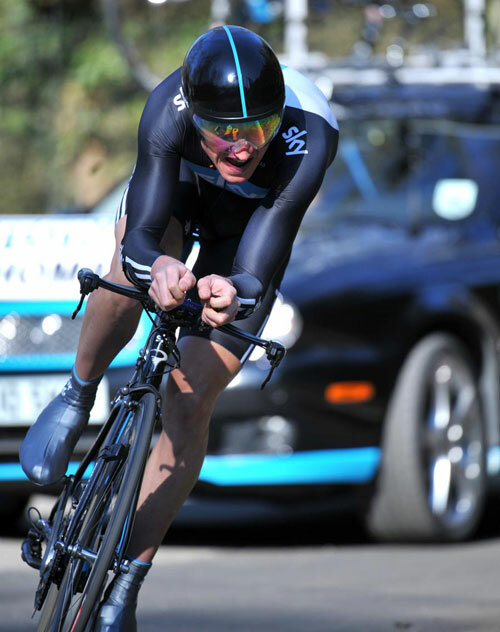 Team Sky’s best rider was Geraint Thomas, who was 15th, 20 seconds behind Boom. Victory for Boom was a great start for Rabobank, and they will seek to defend the jersey for the next couple of days if they can. Whether Boom can contend for the final overall classification in Nice a week today is open to debate, but the Dutch squad have no other riders to work. Robert Gesink is riding Tirreno-Adriatico in Italy later this week and Denis Menchov has been in action at the Tour of Murcia, where he finished second overall. It was not such a good day for Alejandro Valverde, who was 31st, 29 seconds down. But the big surprise was Tony Martin, HTC-Columbia’s talented young German, who was tipped to do well in this prologue. He was just 65th. Tomorrow’s first stage starts in Saint-Arnoult-en-Yvelines, the town which hosts the start of the Paris-Tours classic every year. It’s a flat stage and will be one for the sprinters.